Dino DeLuca joined TriWest in November, 2015 as Chief Operating Officer, a newly created position with the launch of Fund V. As COO, Dino is responsible for and oversees a wide variety of areas within TriWest including finance, investor reporting and relations, governance functions, and administration, as well as supporting the transaction and investment teams and our portfolio companies. Prior to joining TriWest, Dino was Senior Partner at Burnet, Duckworth & Palmer LLP, a leading Calgary based law firm. His law practice was focused on commercial transactions (including private M&A), banking and equipment finance. He also had a significant role in the management of BD&P as a Member of the Executive Committee, Partnership Admission Committee and Business Development Committee. 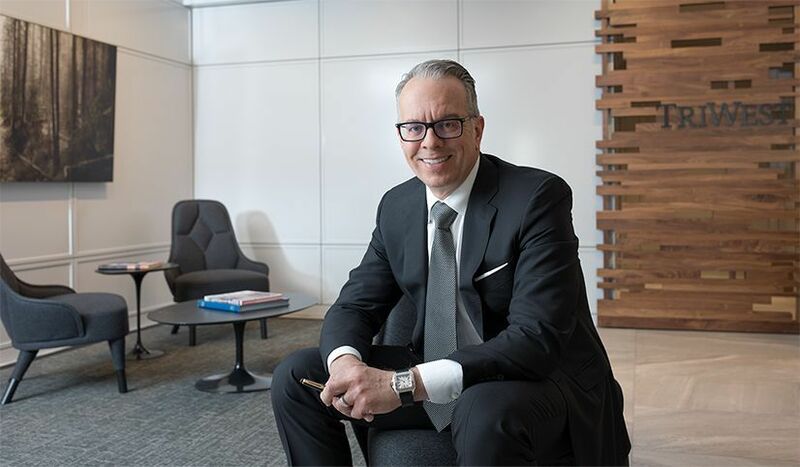 Dino has been recognized with several honours throughout his distinguished legal career, including being named one of the “Best Lawyers in Canada” continuously since 2006. Dino serves on the Board of Directors of STARS (Shock Trauma Air Rescue Service). STARS operates the not-for-profit helicopter ambulance service in Alberta, Saskatchewan and Manitoba. Dino holds degrees in Mining Engineering and Law from Queen’s University and he was called to the Alberta Bar in 1988.